Exercise burns blood sugar. Exercise tames insulin resistance, making cells more sensitive to hormones and thereby putting Diabetes into reverse gear. 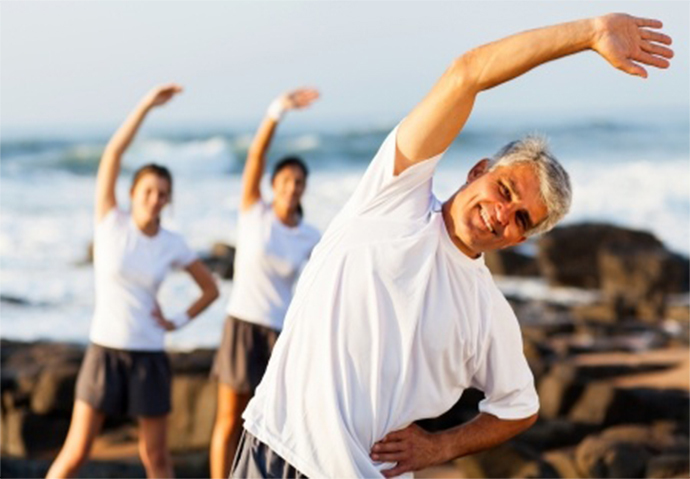 Even modest amounts of exercise can help stop stabilize Diabetes. Walking, swimming, dancing, playing tennis, and hiking are all great forms of aerobic exercise. To lower your blood sugar even more, add strength or resistance training to your weekly routine. The benefits of regular exercise go beyond lowering blood sugar. Bigger muscles burn more calories, which helps maintain healthy weight. So, what are you waiting for? Find something you enjoy doing, and stick to it.